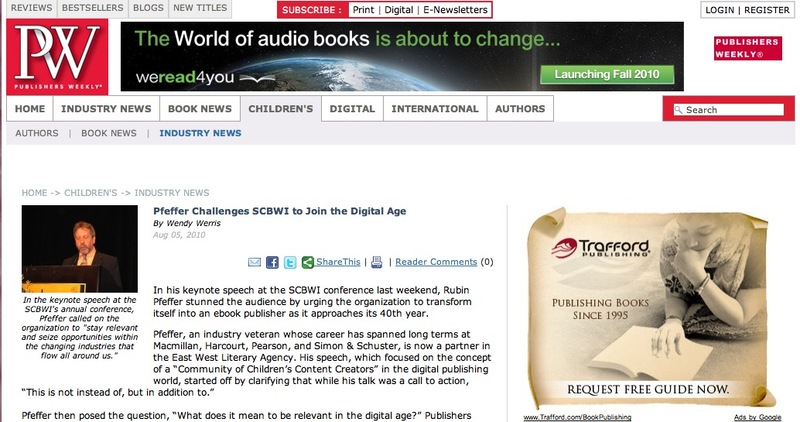 Pfeffer, at SCBWI's Annual Conference last week made some interesting statements about e-books and e-book publishing. Read the article on Publisher's Weekly. 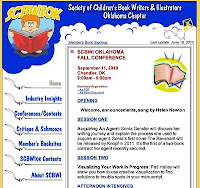 I'm looking forward to the SCBWI-OK Fall conference in Chandler, OK.
Workshops and fellowship and door prizes! 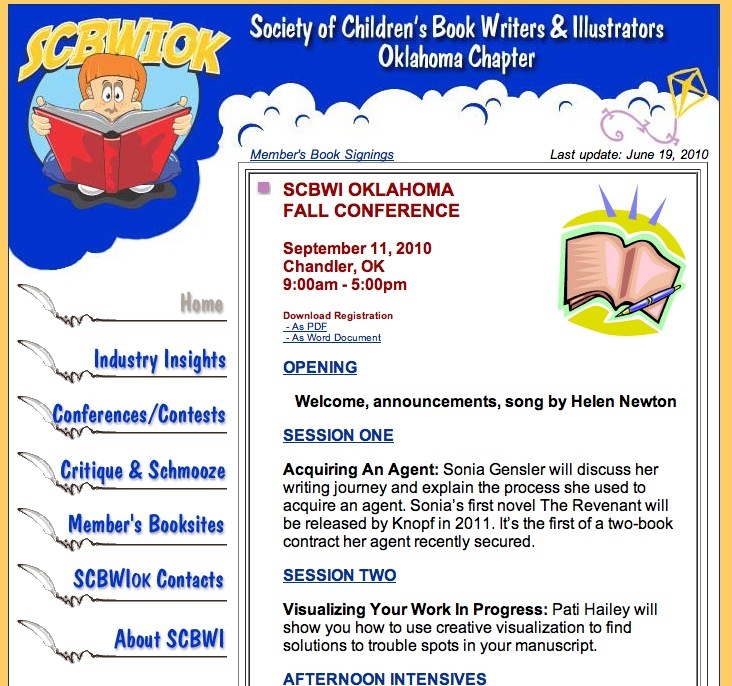 Workshops in fantasy, picture books, and novels. I love the new W.I.N. website! 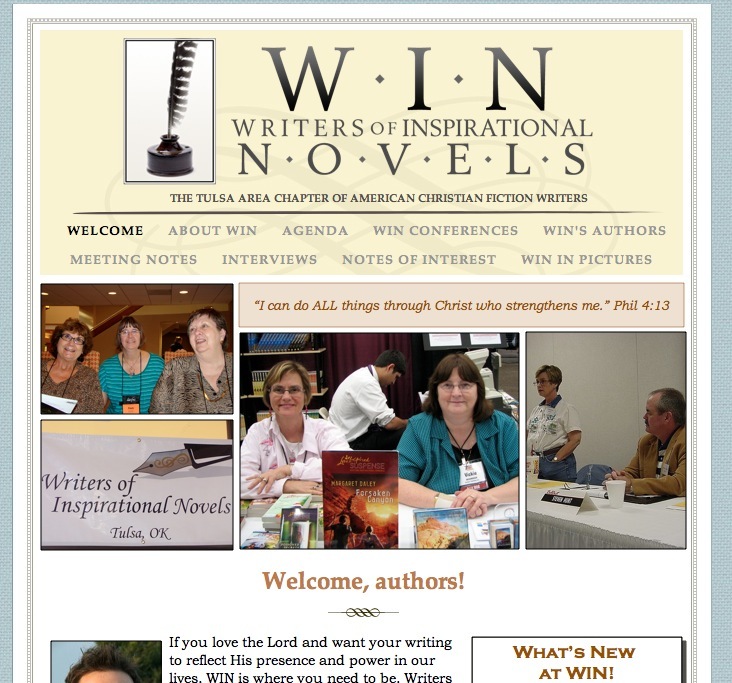 If you're looking for a Christian Writer's group in the Tulsa, Oklahoma area, check out W.I.N. 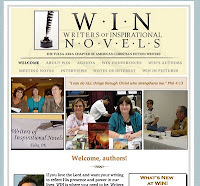 There's a wonderful bunch of writer's there and they are very helpful to us newbies, too!